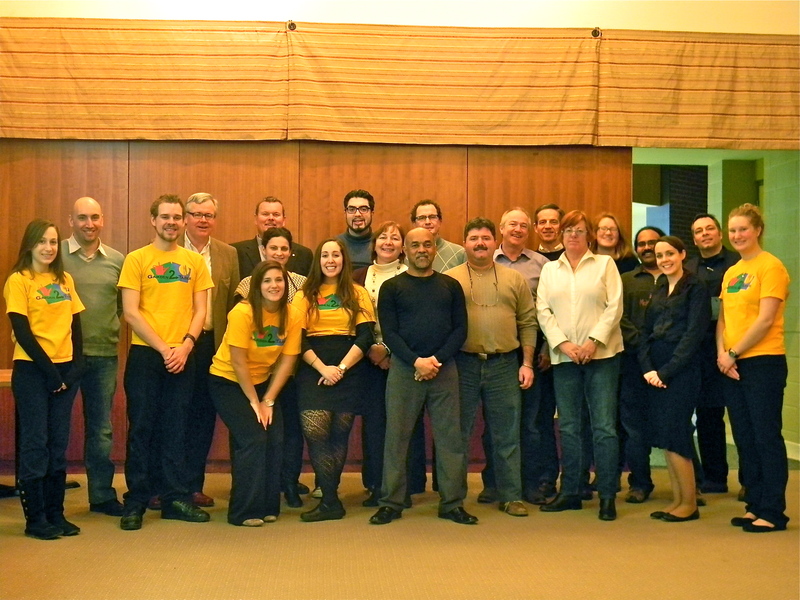 This past Sunday night, Garden2Table and UGSRP (University of Guelph Sustainable Restaurant Project) played host to the OAFB (Ontario Association of Food Banks) for their AGM dinner. The Food Banks of Ontario are undergoing some strategic planning which includes introducing more fresh food and providing marginalized families with real food choices. With this in mind, G2T and UGSRP members Sam Prentice, Lisa Hanlon, Hannah Douglas and Bruce McAdams prepared dishes from GCUOF produce, repurposed and non-perishable foods. The dinner, consisted of a turnip and leek soup, chick pea and roasted beet salad, Rowe Farm’s pork tenderloin and an apple flan, was a hit. The OAFB members, many of them Guelph grads, were further impressed with the Garden2Table and UGSRP projects. Thanks to all who made the dinner a success, and thank you OAFB for the important work you do! Next Next post: “Is that a ‘Green’ Grape?